“I will teach the sea’s rhythm to my cubs and whisper to them in the dark. 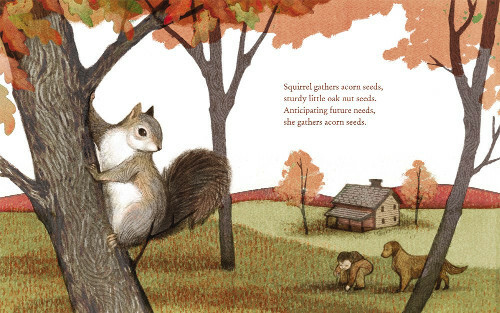 “Squirrel gathers acorn seeds, sturdy little oak nut seeds. Over at Kirkus today, I’ve got two new picture books about women breaking the rules. 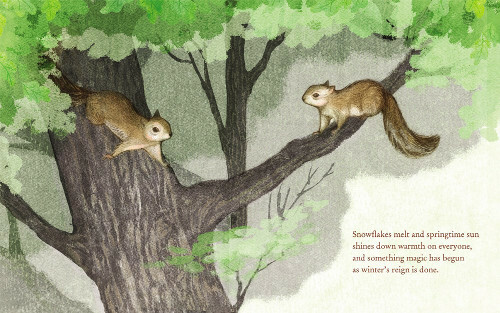 Last week, I wrote here about Lindsay Moore’s Sea Bear: A Journey for Survival (Greenwillow, January 2019), as well as Beth Ferry’s Squirrel’s Family Tree (Orchard/Scholastic, January 2019), illustrated by A. N. Kang. I’m following up today with art from each book. 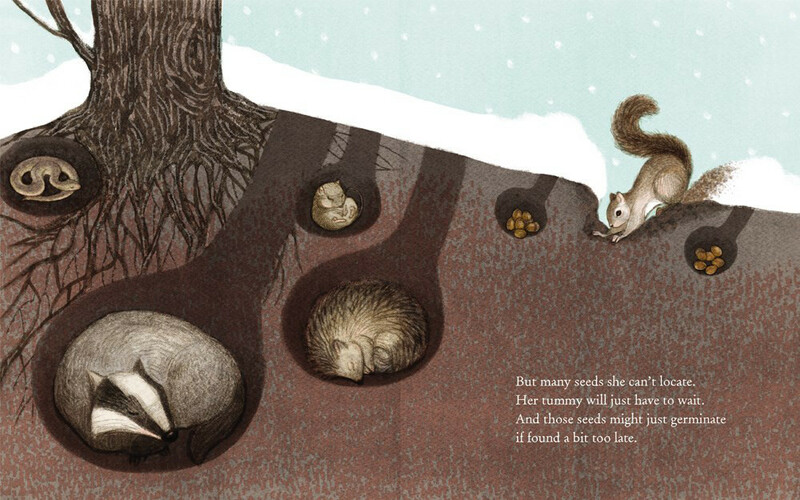 “But many seeds she can’t locate. Her tummy will just have to wait. “Squirrel wants to make a nest, a comfy, oak-leaf, twig-tight nest. 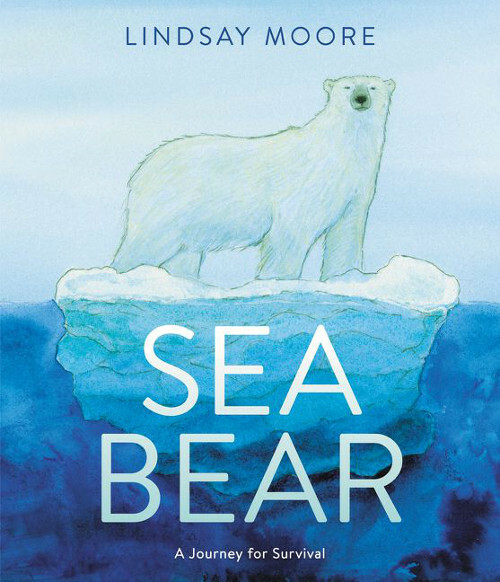 SEA BEAR: A JOURNEY FOR SURVIVAL. Copyright © 2019 by Lindsay Moore. 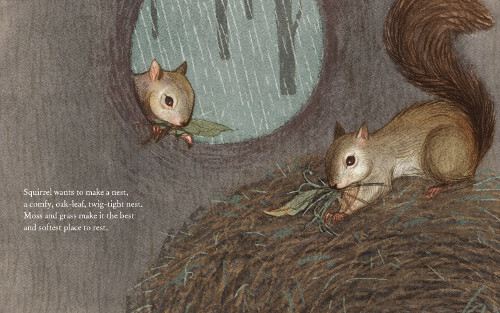 Illustrations reproduced by permission of the publisher, Greenwillow Books, an imprint of HarperCollins Publishers, New York. 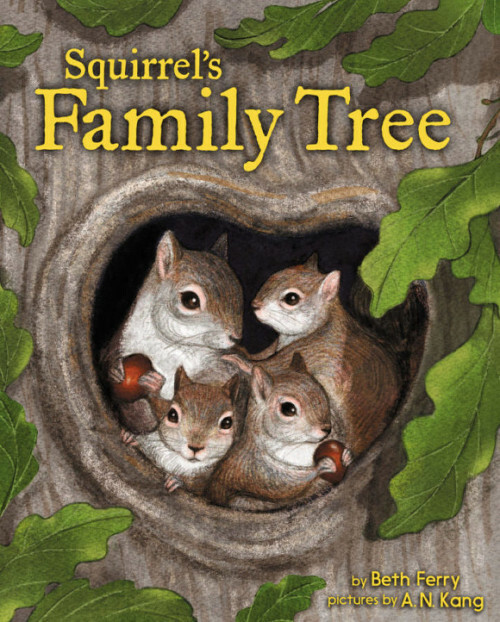 SQUIRREL’S FAMILY TREE. Text copyright © 2019 by Beth Ferry. Illustrations © 2019 by A. N. Kang and reproduced by permission of the publisher, Orchard Books, an imprint of Scholastic Inc., New York.